RedBack Lasers 3L360R+ a Self Levelling 3×360 degree line laser. Ultra bright and clear 3 full 360 degree lines horizontal and dual vertical at 90 degrees. Plus includes electronic Receiver for outdoor use up to 300m diameter. In addition Li-ion power as standard. Ideal for all interior fit out applications and outdoor site levelling and layout needs. 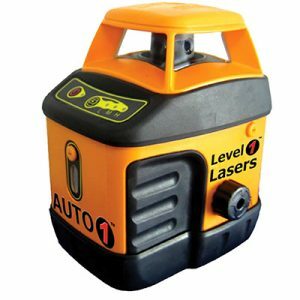 Meet the latest technology for ultimate multi purpose laser level. The RedBack 3L360R+ is a multi 360 degree 3D line laser laser. The 3L360R+ features three 360 degree lines, one horizontal and two vertical at 90 degrees to each other. With all three lines turned on you get plumb up down ceiling floor crosses and four wall crosses for levelling and vertical alignment. This laser level is the ultimate 3D indoor installation and fit out laser. The 3L360R+ is also an ideal outdoor laser as it comes with the LLR705 line Receiver with LCD display capable of picking up laser lines up to 300m in diameter. Together with Li-ion power the RedBack 3L360R+ becomes massive value for money when you look at the jobs it can do both inside and out. The RedBack 3L360R+ is fully self levelling. Simply unlock the pendulum, select your lines and you ready to work. The RedBack 3L360R+ is incredibly bright providing crisp, clear lines in even brightly lit rooms. The 3L360R+ also features manual mode. This allows you to set the laser lines at any angle you want by using an optional camera style tripod or grade plate with elevating tripod as shown below. The 3L360R is powered by Li-ion rechargeable battery pack for up to 20hr battery life and can operate off standard alkaline “AA” cells if required. Also included in the kit is a elevating mount with both 5/8″ and 1/4″ tripod threads plus strong magnets. The 3L360R+ is packaged in a soft carry case and contains all the included accessories such as battery , charger and receiver. I purchased this laser a few weeks ago after being very impressed with my other recent purchase of the D275R. For the second time I was not dissapointed. This is a great multi purpose laser that can be used to complete a huge range of different tasks, both indoors and out. It’s a class 3R laser making it super bright, much brighter than my other redbeam lasers that I own. The range with the receiver is greater than any line laser I’ve come across. I also noticed that you can use the receiver with both the horizontal line and the vertical line on all axis which makes setting out square lines for site set out and leveling very easy. The laser is rugged and we’ll built and comes with everything you need to start using it right away. I would definitely recommend this laser.